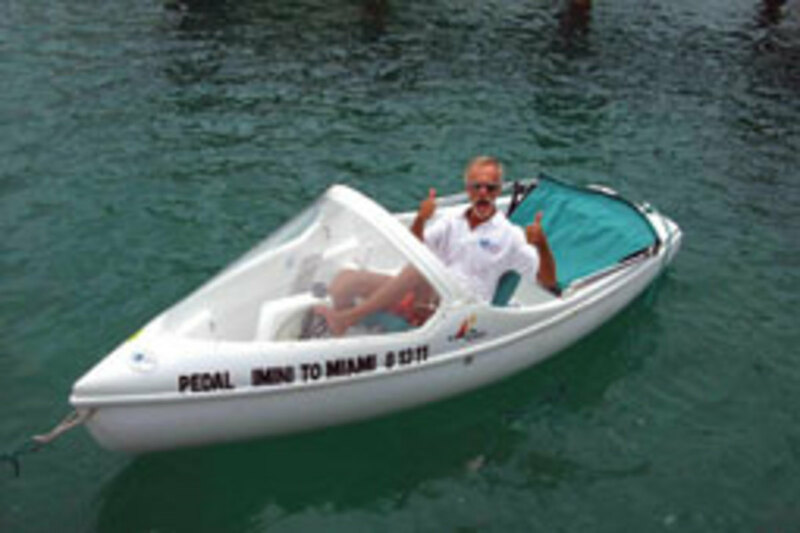 If not for a violent thunderstorm, Bill Boes of Stuart, Fla., might have completed a record-setting passage from Bimini to South Florida in a 12-foot pedal boat. The crossing, which started early on the morning of Aug. 13 from the Bimini Big Game Club in Alice Town, ended abruptly that evening when Boes, just a few miles from Pompano Beach and success, was hit by a savage thunderstorm. “It got worse and worse,” says Boes, who had pedaled in the hot sun across the Straits of Florida to within 10 miles of his goal. 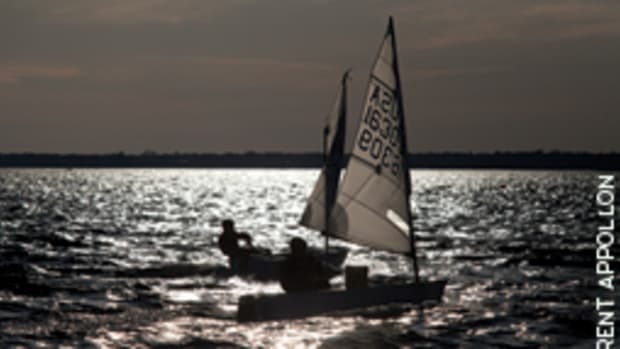 Companions following in a sailboat decided to bring the 61-year-old aboard, ending the record attempt. Had he completed the trip, Boes, an asthmatic who has only one kidney and is battling arthritis, would have become the first person credited with crossing the Straits of Florida by pedal boat. His goal was to raise awareness of human-powered vehicles and money for the House of Hope, which provides food and services to the needy in Martin County, Fla. He believes he did just that. 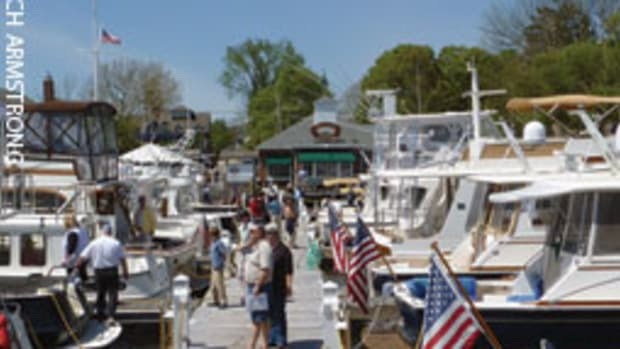 Marinalife, the online concierge service for boaters, opened online voting for its second annual Best Marinas Contest. Marina­life members and others are invited to vote for the best transient marina and the marina with the best customer service at www.marinalife.com/marinacontest. Voting is open through Oct. 15. A variety of amenities and across-the-board quality service are what earned the awards for last year’s winners: Nantucket Boat Basin in Nantucket, Mass. (transient), and Haven Harbour Marina in Rock Hall, Md. (service). Winners will be reviewed in Marinalife magazine and receive a marketing package valued at $2,000. 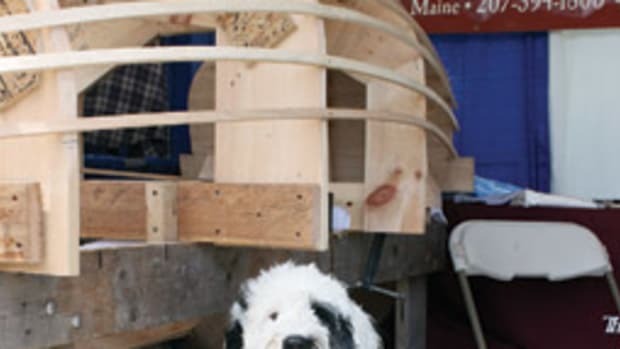 The Chesapeake Bay Maritime Museum in St. Michaels, Md., is hosting one of the nation’s largest gatherings of small-boat enthusiasts and unique watercraft Oct. 1-2 at the 29th annual Mid-Atlantic Small Craft Festival. 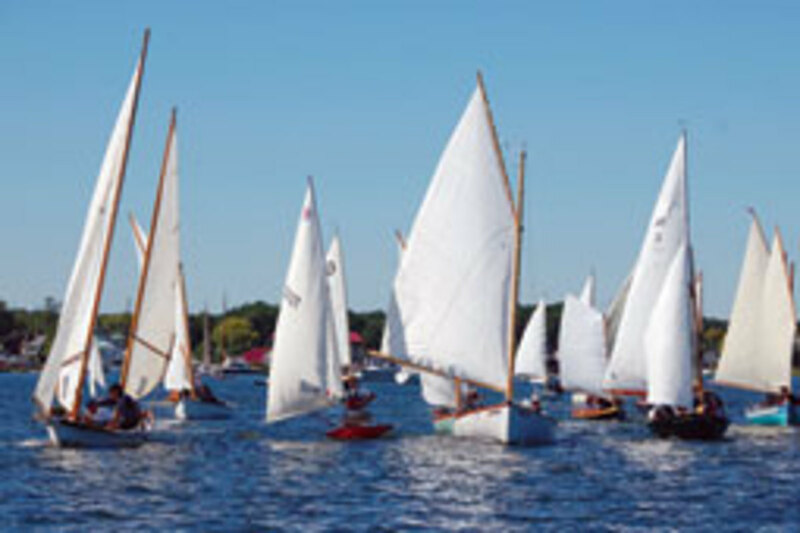 Sailing skiffs, rowing shells, kayaks, canoes, paddleboats, prams and one-of-a-kind boats will be on display and in the water during the family-oriented event. Music, river cruises, and food and beverages will be part of the festivities. 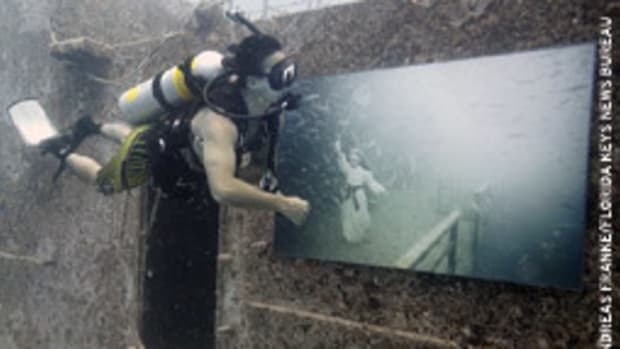 Visitors also can tour the museum’s 18-acre waterfront campus and hands-on exhibits. Admission is free for museum members and children 5 and under, $13 for adults, $10 for seniors, and $6 for children ages 6 to 17. Information is available by calling (410) 745-2916 or visiting www.cbmm.org/mascf. The Boston Fall Boat Show will not be held this year, organizers say. “Due to the current economic climate, the local marine marketplace cannot support a show at this time. We simply could not get enough additional exhibitor support to make the numbers work for 2011,” show manager Warren Kelly said in a statement. Isobel, a 75-foot light displacement cruising/racing sloop designed by Maine-based Stephens Waring Yacht Design and built at the Brooklin Boat Yard, was launched July 15. 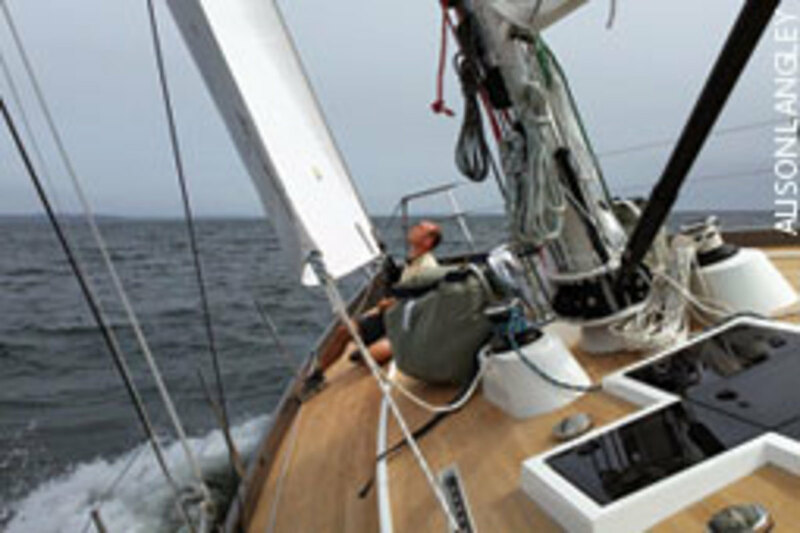 During sea trials off Camden, with a 10- to 15-knot breeze and an easy seaway, Isobel, under a square top mainsail and blade jib, quickly settled at a steady 9-plus knots upwind and 11 knots at an apparent angle of about 26 degrees off the wind. 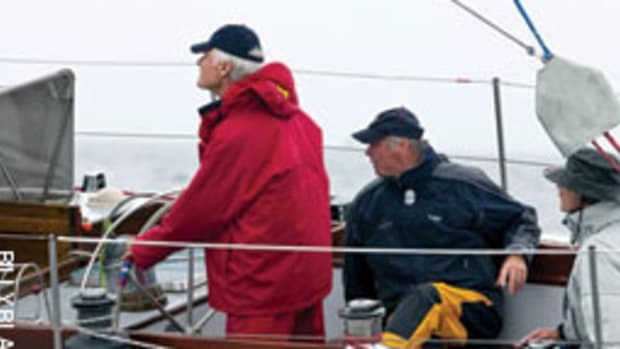 Owners Richard and Mary Jane Schotte christened the sloop Aug. 4 by competing in the Castine Classic Yacht Race, the first of the Eggemoggin Reach Regatta feeder races. 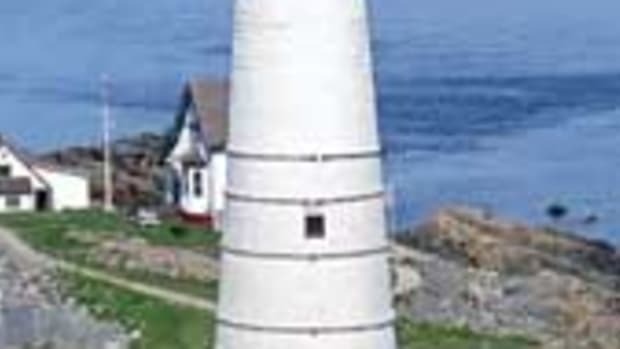 Camden will be Isobel’s home port. The federal Environmental Protection Agency approved a petition designating the coastal waters of Outer Cape Cod as a no-discharge zone. The designation means that the towns of Chatham, Orleans, Eastham, Wellfleet, Truro and Provincetown are prohibiting the discharge of treated and untreated boat sewage. 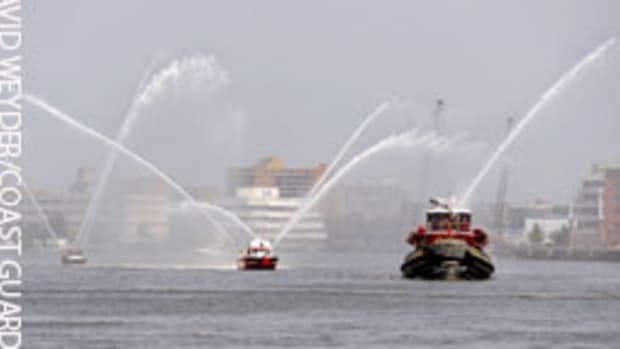 Boats now can’t discharge treated or untreated sewage into any Massachusetts coastal waters from the New Hampshire state line south to Chatham. 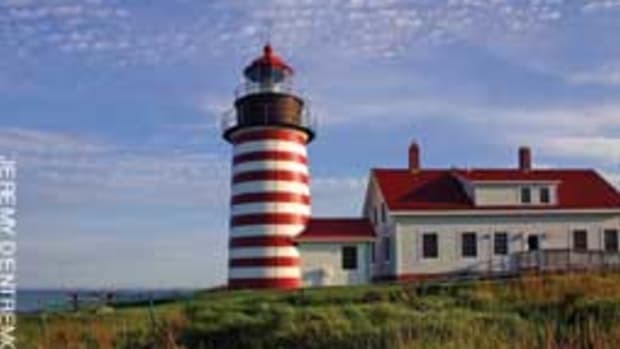 Visit www.mass.gov/czm/nda for a complete list of Massachusetts NDZs. The Postal Service is paying tribute to the U.S. 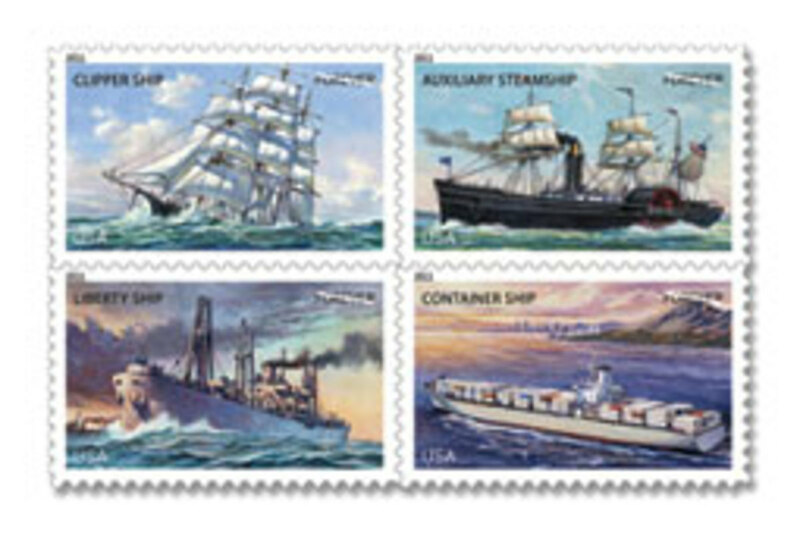 Merchant Marine by issuing 60 million “forever” stamps depicting vessels from the fleet. Illustrator Dennis Lyall created the four stamp designs, drawing upon contemporary lithographs of 19th century ships and photographs of 20th century ships. Text on the back of the stamp pane describes the vessels. The new stamps are available at local post offices, at www.usps.com/shop or by calling (800) 782-6724. The Florida Marine Flea Market and Seafood Fest will be held Sept. 16-18 at the South Florida Fair Grounds in West Palm Beach, Fla. More than 100 boats — repossessions, short sales, dealer trades and private liquidations — will be up for sale. An auction-boat preview will be held Sept. 17. The sale starts at 11 a.m. the following day. The Connecticut Department of Energy & Environmental Protection and the Avalonia Land Conservancy jointly acquired a 16-acre parcel of coastal grassland on Wequetequock Cove in Stonington. The acquisition expands what is now a 2.4-mile corridor of contiguous protected open space from the Pawcatuck River on the Rhode Island border to Wequetequock Cove adjacent to Connecticut’s Barn Island Wildlife Management Area, the state’s largest coastal wildlife management area. The $1.5 million purchase was largely funded by a grant through the Natural Resource Conservation Service’s Grassland Reserve Program and contributions from eight partnering organizations.